Every bluetooth headset hitting the market today seems to be getting new wild features, for example an LCD display for Caller ID. All the average consumer honestly needs is the ability to talk. foneGear has taken this approach with their Mini Blue (fG876) lightweight headset with no unnecessary extras. The Mini Blue isn’t exactly the most innovative feature-packed unit, but it’s simple and it works! The layout of the Mini Blu is as simple as it can get. It’s got a multi-function button on the front which acts as the talk/end button as well as turns on/off the unit. On the side, you’ll find a plus and minus button to control the volume level. The volume down key doubles as the redial button as well as the mute control. Even after testing the headset with multiple phones, we still had issues getting the redial and mute functions to work properly. An LED indicator can be found on the front, which lights up red while charging and flashes blue while it’s on. The audio quality was decent, but not too great. The audio would crackle and the listener would also have a hard time hearing us if we turned up the volume too high. Despite this, the quality of voice calls on the Mini Blu is more than enough for most consumers. The headset can be worn on either ear and was quite comfortable. The actual speaker portion is surrounded by a soft rubber, therefore will be easy on the ear even after hours of use. The headset is fastened to your ear with a thin plastic around-the-ear hook. With this hook, it is close to impossible for the headset to fall off even if you are actively moving. This can not be said for other headsets we’ve reviewed such as the Samsung WEP200, which is quite hard to keep in place. In the package, you’ll find that foneGear includes the Mini Blu headset, a ear hook, and the charger. This isn’t exactly a high-end headset, but is a solid performer and is great budget headset. The fG976 Mini Blu is available on foneGear’s website for just $20! At that price, there shouldn’t be any complains for what this does offer. This is a great headset for teens and first time buyers. (Even works with the PS3!) And as we mentioned previously it does exactly what its suppose to do, allow making voice calls. If you are looking for a better headset, we suggest checking out our review of the Jabra BT5020. As for the Mini Blu it is available for purchase online. what is the password to connect it to a phone? 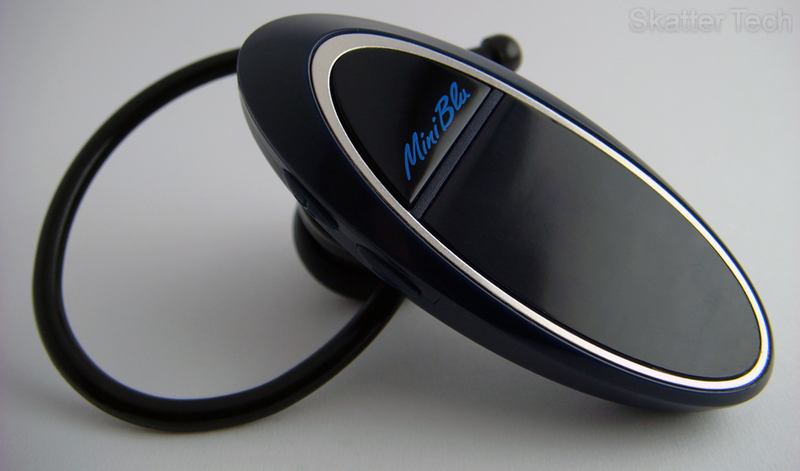 Do you know where I can pick up another ear hook for my mini blu?